Home/Multifamily Apartments /Weighing in – why accepting credit cards for rental payments might not be a good idea. Accepting credit cards for rental payments has been a hotly contested item in the office since Twitter published its first tweet. I’d like to get your opinion on it – not because I want to win some office bet (1/2 day off!) but because I still think this is a sticking point for some companies. Let’s clear the air, check the evidence and try to figure out what we should do. Pay a convenience fee for being convenienced. Quick math. If you collected $10 million dollars a month in rents and that was all paid by credit card at 2.5% per transaction that would be $250,000 a month you’d flush down the toilet. It isn’t practical for our bottom lines to write these kinds of numbers off. (Shoot if it was, I’d process the transactions using some crayons and a phone and keep the $250,000 myself). Only way you can overcome these lopsided mathematics is to charge a convenience fee. The trouble is the laws regarding the fees are pretty convoluted and require a decoder ring and expensive lawyers to understand. Uhh.. okay that’s not real clear. What it means, and VISA is the same way, is that they won’t allow you to charge a fee if you aren’t charging it on any other forms of payment. We don’t charge fees for ACH transactions – why start now? You must be PCI Compliant. 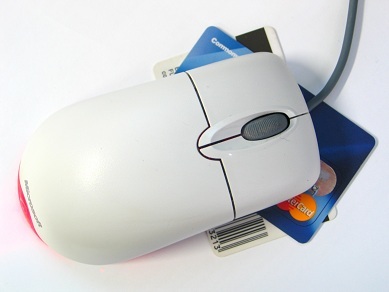 What is PCI Compliance? “The Payment Card Industry Data Security Standard (PCI DSS) is a set of requirements designed to ensure that ALL companies that process, store or transmit credit card information maintain a secure environment.” If card holder data is compromised you must report it based on the law for your state. The questionnaire you must complete to become PCI Compliant is long, complicated, and excessive. Check here for more information about what PCI Compliance is all about. There is an important note to be made. PCI Compliance is not a federal law, it’s a set of guidelines. There are state laws that require it but for now, protecting your resident’s data seems to be the right thing to do. Credit cards can help on those months where your residents are having trouble keeping up. Paying rent with credit cards has its pitfalls. In the article from Californiawatch.org Carrie Gotch, communications manager for CCCS explains “that if consumers need to charge the rent because they can’t afford to pay it, that could be a red flag.” Are they robbing Peter to pay Paul? 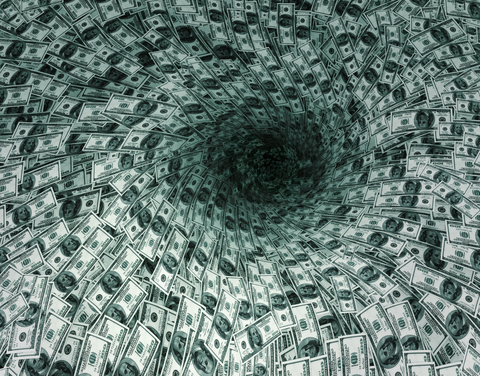 Are we helping to dig our residents further and further down the rabbit hole of debt? Are residents demanding to pay their rent with a credit card? ChargeSmart has a flat fee for Bank of America mortgages: $14.95, almost 1.5% of a $1,000 payment. Even with a rewards rate of 2% – a rate seen only in a few cards like the Capital One Venture Rewards card or Discover Escape – you’ll still only get about a Venti Frappuchino in rewards each month. I’ve said it on this blog before that sometimes we have to shift our focus because our customers want it. Despite the mounting evidence against it, do our residents want to pay by credit card regardless of the cost? During one of the AppFolio presentations I saw recently, I asked why they didn’t offer credit cards as an online payment option. “We did market surveys and found there was little need to offer it.” Interesting. Property Solutions accepts credit cards in their online payment solution as well as ACH transactions. They charge a convenience for both (what and how these fees are setup is customizable). There is an alternative. Solutions like ChargeSmart act as the middle man accepting payments (with a hefty fee!) from a resident by credit card and then arranging a funds transfer to you for their rent. Suggesting these services to our residents can be a way to avoid taking on the responsibility ourselves. I’d love to hear about other multifamily offerings. What do you do? What are you seeing? Do you accept them? Do you have plans to do so? I’d love to talk about it.